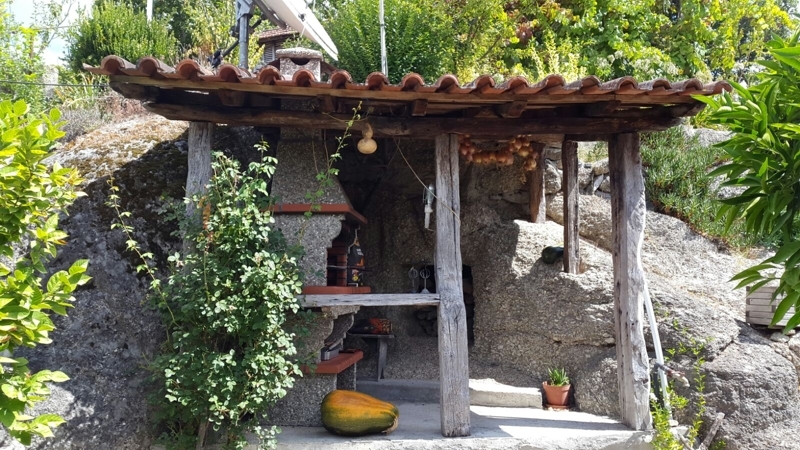 This beautiful 18th Century house is situated in a very quiet location near the small town of Marco de Canaveses. There is also a small chapel dated from 1707 which has been carefully restored and may be opened upon request. 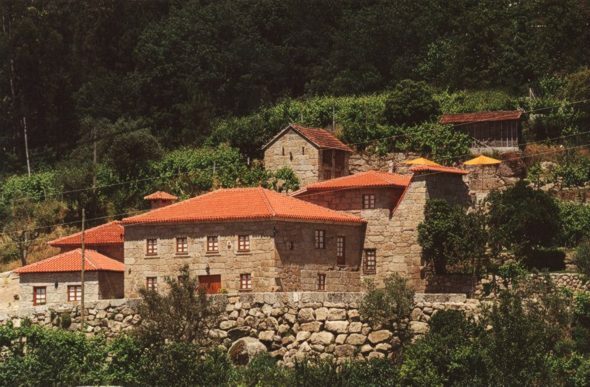 In this area, you may care to take the opportunity to visit the "Terras de Basto", the Minho and Tras-os-Montes regions. You can also explore the beautiful Douro River valley by road, or, better still, using the famous Douro Valley railway. Alternatively, you may prefer a river cruise. 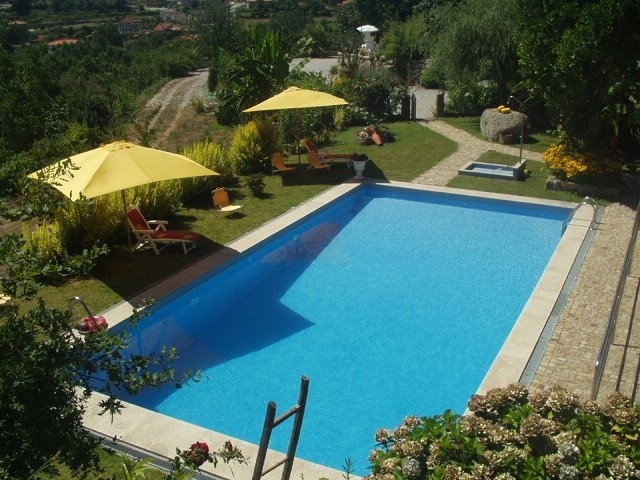 Quinta da Varzea de Cima offers self catering accommodation for up to 11 persons. 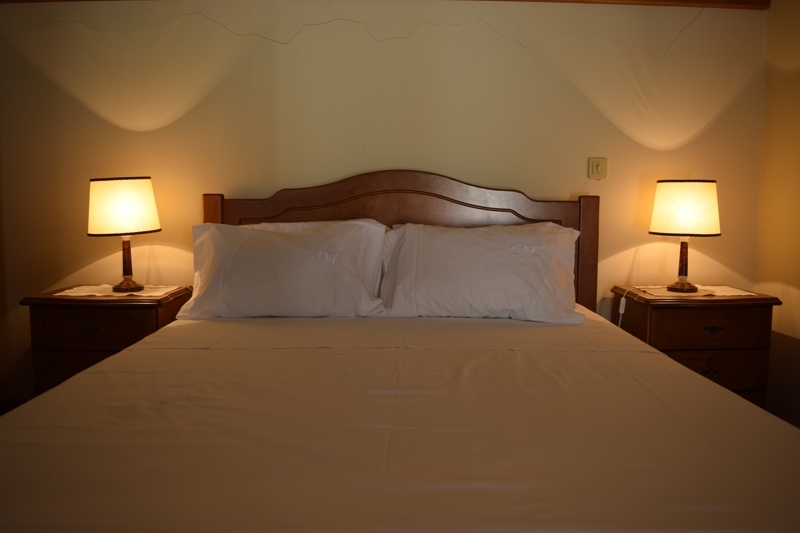 There are a total of 6 bedrooms, five double rooms with a double or twin beds and, a single bedroom. 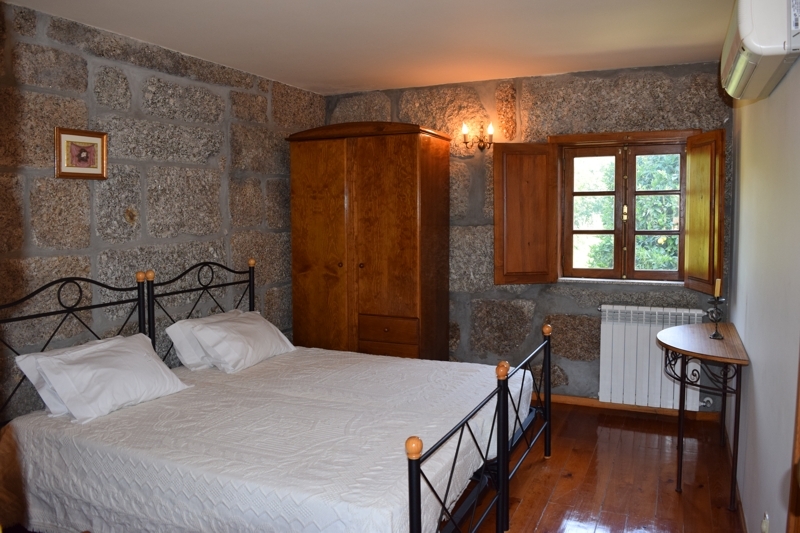 4 of the bedrooms are located in the main house and central heating. 2 of the bedrooms have air conditioning and private en-suite bathroom. The other two share a bathroom. The other 2 bedrooms are located in the small house adjacent to the main house. 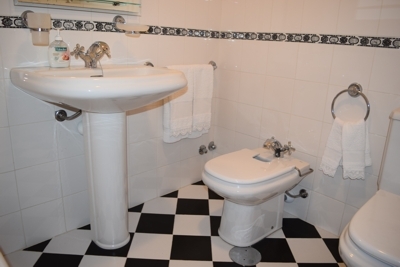 Each has en-suite bathroom, central heating and air-conditioning. These houses are designed to form a courtyard. The Quinta offers several facilities for the guests' use including two living rooms with satellite television. One has a fireplace and hi-fi. The other has DVD player. 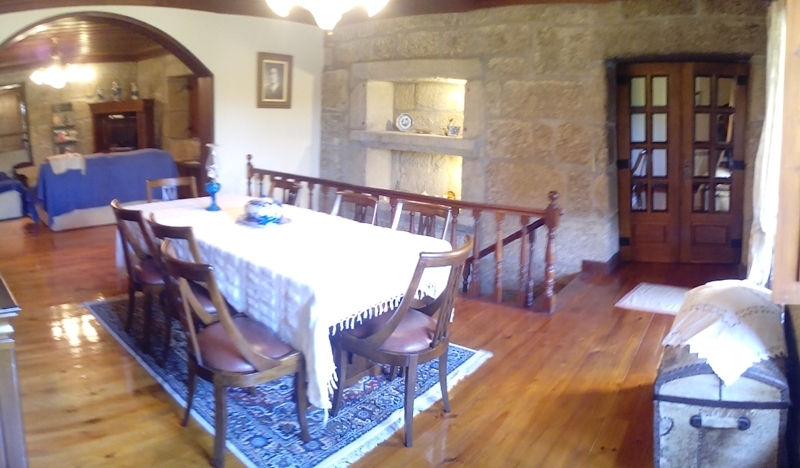 There are also two dining rooms. 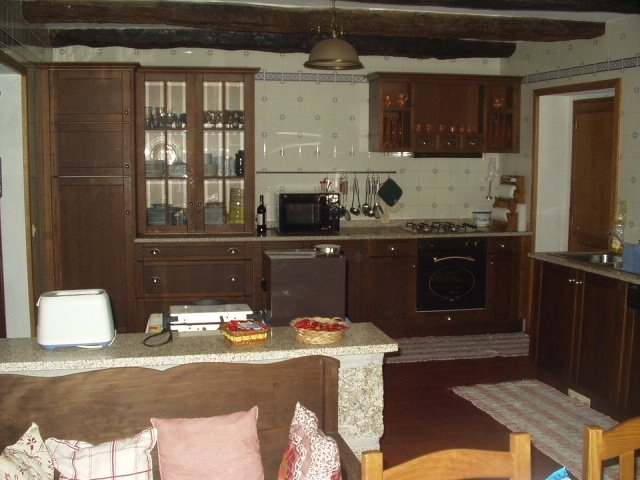 The kitchen is fully equipped with a 4 ring hob, oven, fridge/freezer, microwave, dishwasher, coffee machine and toaster. Part of the kitchen still has the original stone oven. An old converted granary is now the laundry which has a washing machine and a spindryer. In the garden there are sunshades and sun loungers and 2 swings located near the swimming pool. Also in the pool area there are two changing rooms with showers. There is also a terrace with a barbecue. This property is only a few kilometres from Marco de Canaveses, which has a variety of restaurants, shops and supermarkets. Further up river is the charming town of Amarante which is definitely worth a visit. 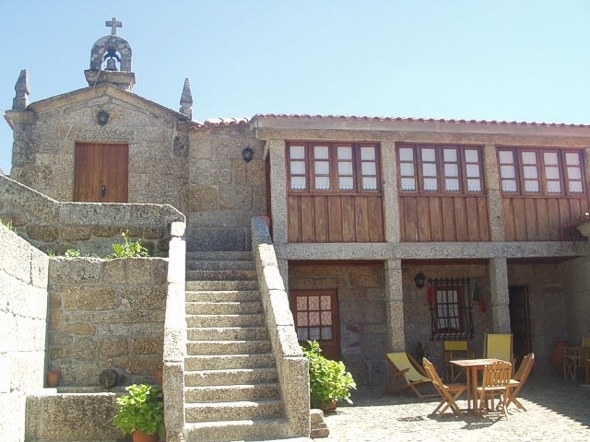 We stayed at Quinta da Varzea de Cima in August. It is a superb property which the website pictures don't do justice to. There is tons of space, all the rooms and kitchens are well equipped and outside is spacious and very private. The changing rooms for the pool were better than some apartments I have stayed in. Has 6 bedrooms so excellent for large parties. The only negative is that the entrance to 4 bedrooms are outside the house due to the layout so if you have small kids in a group, bear that in mind. No problems if all couples or older kids though. 4km to town centre that has taxis if needed. 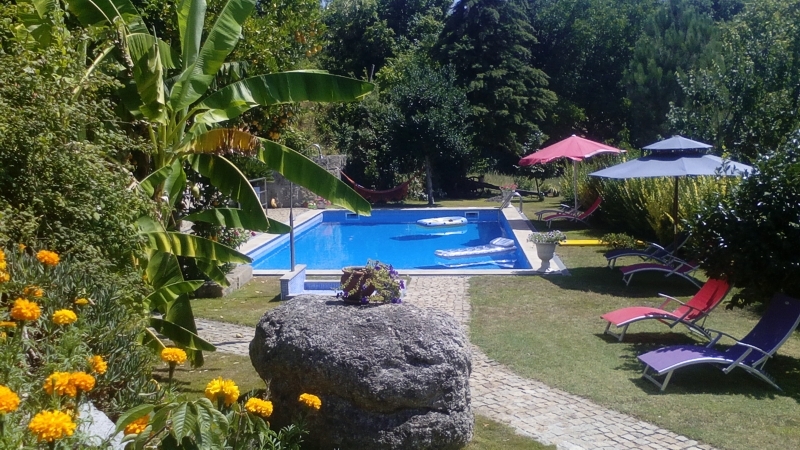 Our group spent a week at Quinta da Varzea de Cima at the end of August. The villa itself is truly amazing - words cannot do it justice. The owner and family were also incredible; friendly and so accommodating. Nothing seemed too much trouble and even our non-existent Portuguese language skills did not cause too much of a problem. The villa is huge and well equipped. We were able choose to eat in a dining room appropriate to our "mood". The pool area is also superb - with separate changing facilities that would rival some leisure centres! 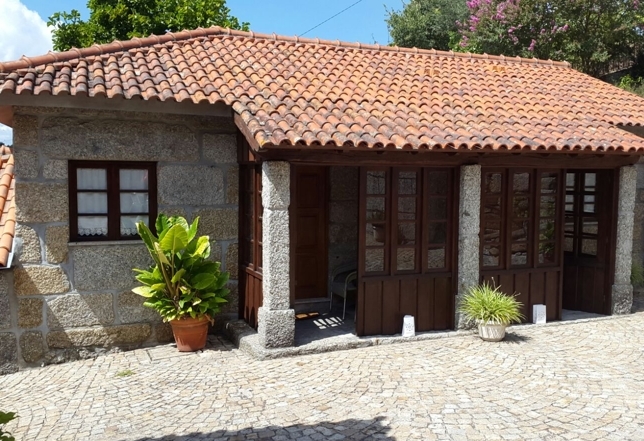 The villa was easy to reach from Porto airport (approximately 75 minutes) and the closest town was around 5 kilometres away with good supermarket (Intermarche). A car (or taxi) would be required given the hilly nature of the area. I have only good things to say of the whole experience with Portugal Villas and the property and owners. I would most definitely recommend their thorough and professional services.